Josiah Sprankle is a composer, pianist, French horn player, and mandolinist from Roanoke VA. He started piano lessons at the age of 7, then started to compose in 2012. 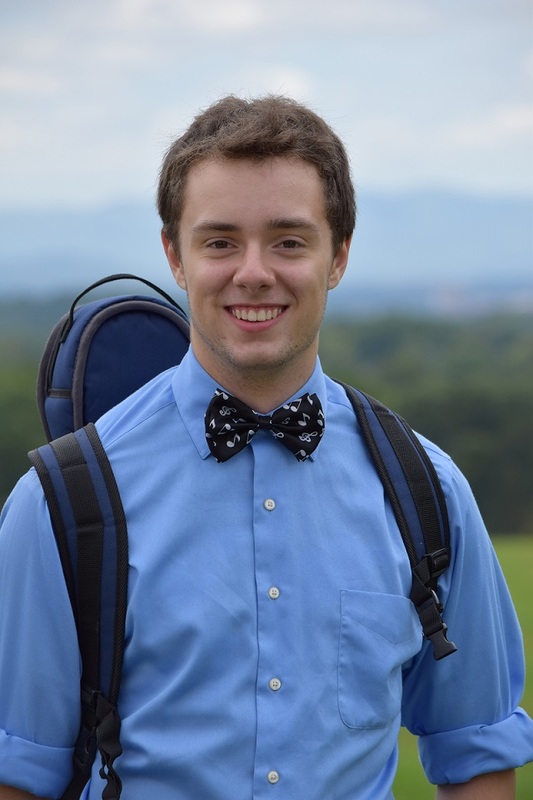 In the summer of 2014, Josiah attended the Brevard Music Center as a composer. Additionally, Josiah plays French horn with the Roanoke Youth Symphony. Josiah loves improvising, educating, and helping others enjoy his music. An active performer, Josiah regularly performs original and classical compositions at recitals, charities, and competitions, placing first in the Young Artist Awards, the VCU PianoFest, and being a finalist in the Mary Smart competition and Bland competition. Josiah is a Christian and enjoys working with his church, Rainbow Forest Baptist, in both musical and non-musical activities. Josiah is home schooled, a senior, and will pursue a degree in music composition after graduation – in Paris! This piece represents the life of a man on a spiritual journey, with the structure of the piece following Psalm 23. The first verse reads, “The Lord is my Shepherd; I shall not want.” At the beginning, the sweet folk melody played by the flute symbolizes contentment, peace, and the feeling of being home. However, as the piece progresses, the music gradually becomes more confusing and mysterious, representing the valley of the shadow of death. A cry of joy appears with bluegrass-like jam near the end. As the flute plays a second iteration of the sweet melody, the man returns home and finds peace. This piece first came to life during the 2014 session of the Brevard Music Center. I brought my mandolin with me and toyed with it during free time. As I improvised, I was struck by the idea of a flute and mandolin duet. The melody, which strongly resembled the style of a southern folk tune, fit naturally with the flute. I later had the idea of including strings. The music of Chris Thile, a world-famous mandolin player, had a profound impact on the instrumentation of “The Pilgrim.” I wanted the piece to be modern classical, but still have a strong influence of folk music. The piece flowed together, and I was happy with the blending of classical music and bluegrass.